Wells Funeral Homes, Inc. & Cremation Services of Canton and Waynesville was founded in 1888 by C. T. Wells, Sr. He started Haywood County's first undertaking business in Canton, in a general mercantile store. In the history of Wells Funeral Homes, Inc., it is documented as the oldest family owned business in Haywood County. Over the years, the family business was passed down from C. T. Wells, Sr. to his sons, C. Broadway Wells and James M. Wells and his wife Dutch Mc Cracken Wells. The business was then owned and operated by the daughter of James M. and Dutch Mc Cracken Wells, Miriam Wells Greeley and her husband J. Patrick Greeley. The year 2000 marked a transition of ownership within the Wells family. J. Wells Greeley and his parents completed succession-planning efforts, which allowed Wells Greeley to become the fourth generation of the Wells family to operate their family owned business. From the mercantile store, Wells Funeral Home moved to Main Street and then to Academy Street in Canton. Marking their 75th anniversary, a modern facility was built on Asheville Road in Canton. This facility presently serves the needs of families of eastern Haywood and Buncombe counties. In 1985, Wells Funeral Homes, Inc. purchased Crawford Funeral Home located at 296 N. Main Street in Waynesville. A new facility was built on this site in Waynesville in June of 1990. This facility serves the families of western Haywood and Jackson counties. In 1996, a cremation facility was constructed by J. Wells Greeley in a partnership in Buncombe County. Cremation Services of WNC serves the needs of Wells Funeral Homes and other funeral homes. 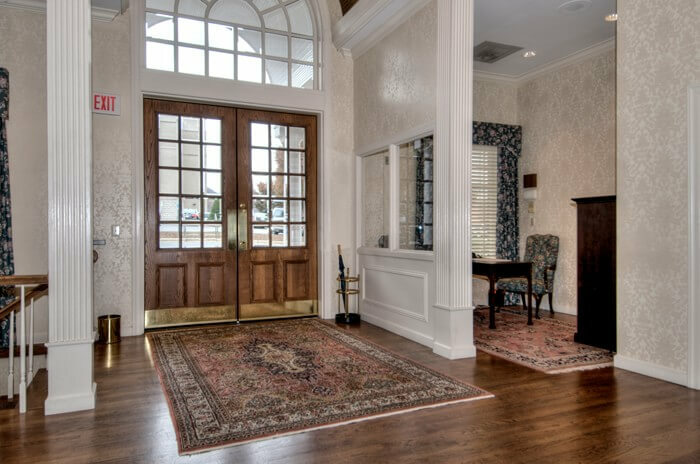 By owning their own cremation facility, Wells Funeral Homes have greater control in serving the needs when families choose cremation services. This gives Wells Funeral Homes the ability to be a full service funeral home and crematorium for the families they serve. J. Wells Greeley and a professional staff are honored to carry on the Wells' family tradition of dedicated service to families throughout Haywood and surrounding counties since 1888. In the fall of 2012, J. Wells Greeley purchased The Mountaineer Press Room and Publishing building adjacent to the current Waynesville location of Wells Funeral Home, only 11 feet away. After undergoing a complete renovation, the building now houses the Wells Events & Reception Center which will meet the needs of providing a space for life celebrations, accomplishments, community events an meetings, funeral receptions and memorial services. We are honored to be able to provide this space to the families we serve.